All of the team members primarily use some distribution of Linux. 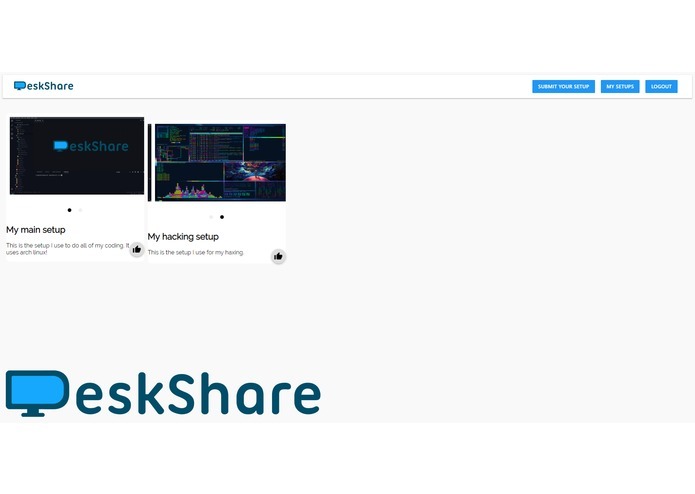 A desktop environment is something you can get really creative with, so we thought - why not make a platform to show off your desktop environment, and have a way to upvote ones you like? The browser uses Vue.js to render responses from the API, which is made with Node.js (using Express.js). Authentication is Github OAuth2 (login with Github) and all the post & user data is stored in RethinkDB. We nearly fell asleep in our chairs. I worked on the main API functionality, everything but the authentication. I worked on mainly api communication between the frontend and backend, and I also made a lot of the frontend.